KARACHI: Poor environmental conditions caused by heaps of garbage dumped at every nook and corner, and burning of solid waste and dust from unplanned development works have increased the frequency of viral eye infections, allergic reactions and conjunctivitis. This was evident during a day-long free medical camp with diagnostics facilities organised by the Hashmanis Medical Welfare Foundation at the premises of the Halari Memon Jamat in Guzdarabad area near Ranchoreline here on Sunday. More than 1,200 patients were examined at the camp and 90 of them were diagnosed with cataract. At the camp, patients were provided free checkups for eye and other diseases. Laboratory and diagnosis services including cholesterol, sugar, hepatitis B & C, BMD, paeds, gynae were also provided. 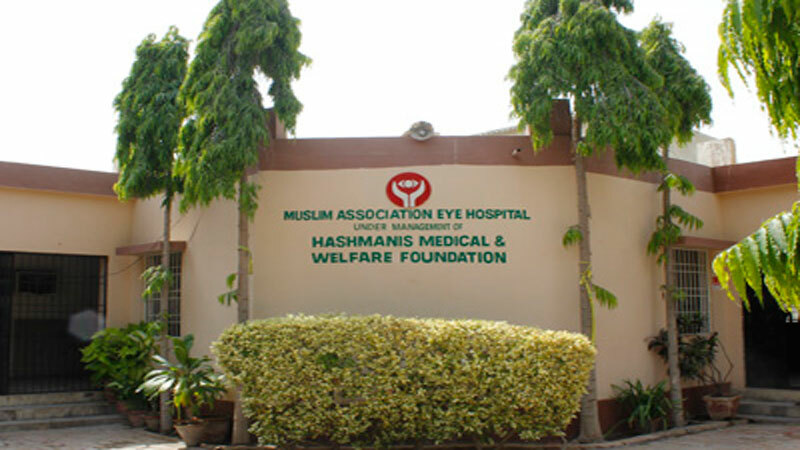 Patients diagnosed with cataract disease will be operated at in the next few days, free of cost, at Hashmanis Hospital located in Ranchoreline. Hashmani Medical Welfare Foundation chairman Dr Sharif Hashmanil, along with CEO Hashmani Group of Hospitals Arsalan Hashmani and office bearers of Halari Memon Jamat, visited the camp and met patients inquiring about quality of medical facilities provided there. Speaking on the occasion, Dr Sharif Hashmani said that due to the prevailing unhygienic conditions in Karachi, people were having viral infections and dust allergic reactions more frequently. He urged authorities to pay special attention to this aspect, saying that poor environmental conditions and dust was causing an irreparable loss to public health, especially affecting children. He also urged citizens to take special care of their eyes in these circumstances. Dr Hasmani said cataract, which was the major cause of blindness in Pakistan’s rural areas, was an age-specific condition and people after 40 years of age started having cataract.